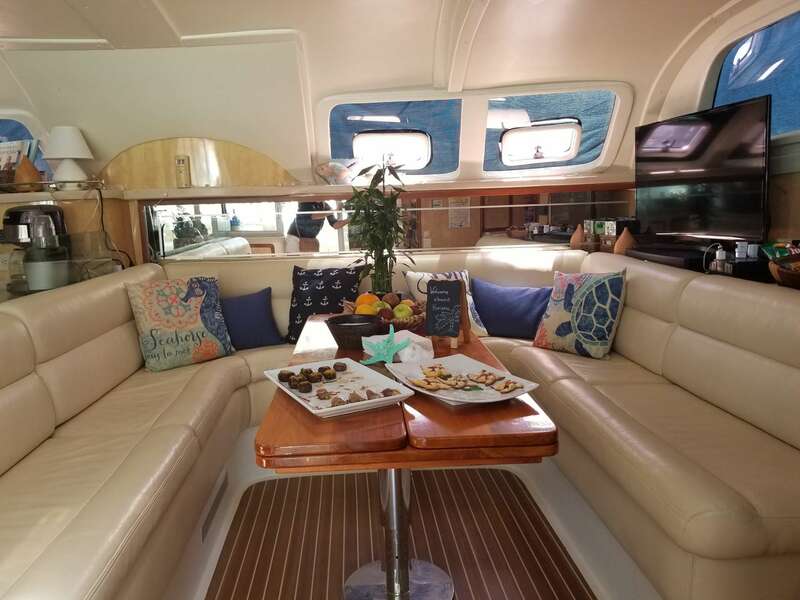 Featuring enormous spaces with beautiful style elements and superior specifications, Karizma offers pure comfort for yacht charter groups up to 8 and families up to 10. 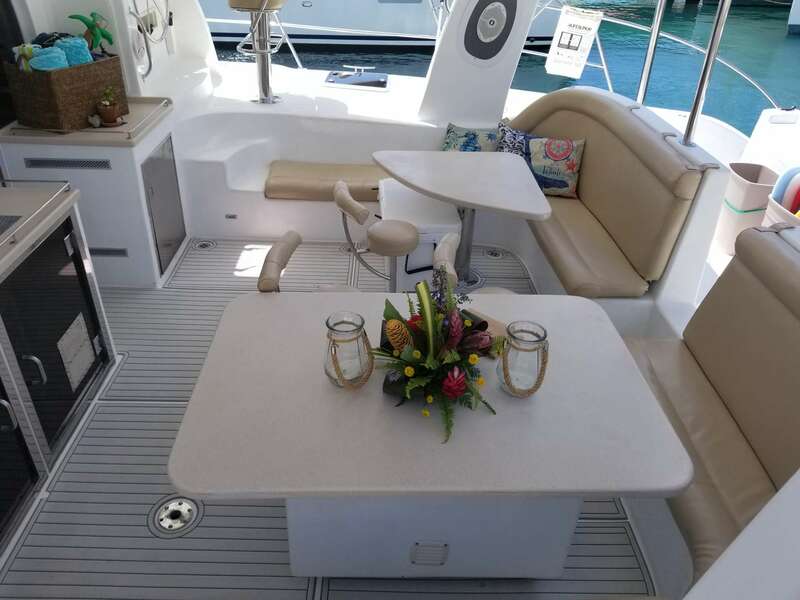 Karizma's interior layout is truly stunning with big spaces and towering headroom throughout. 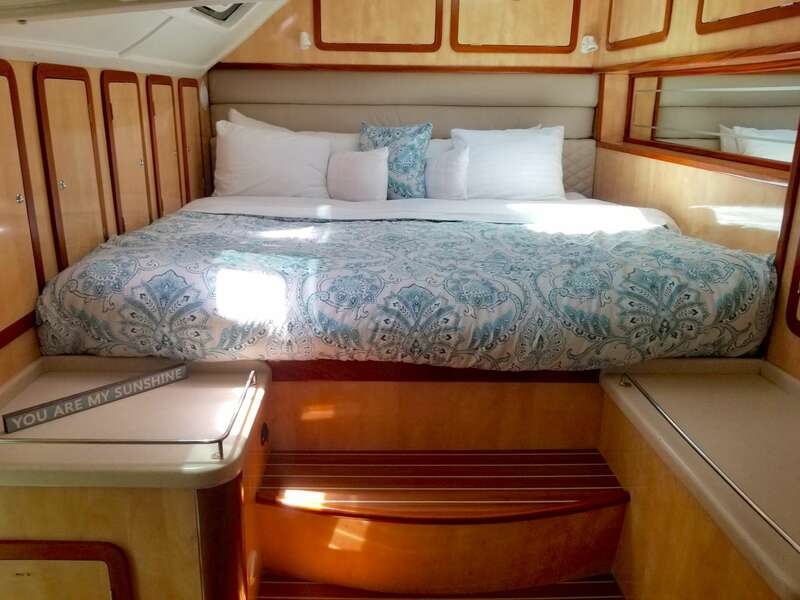 4 large cabins provide sumptuous comfort in 2 queens and 2 double beds. 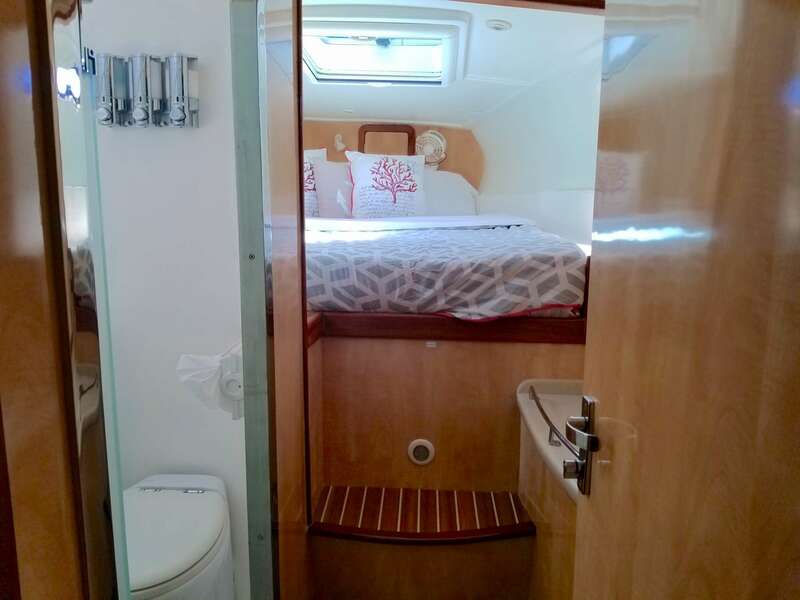 Staterooms are ensuite with electric toilets and separate tiled showers. 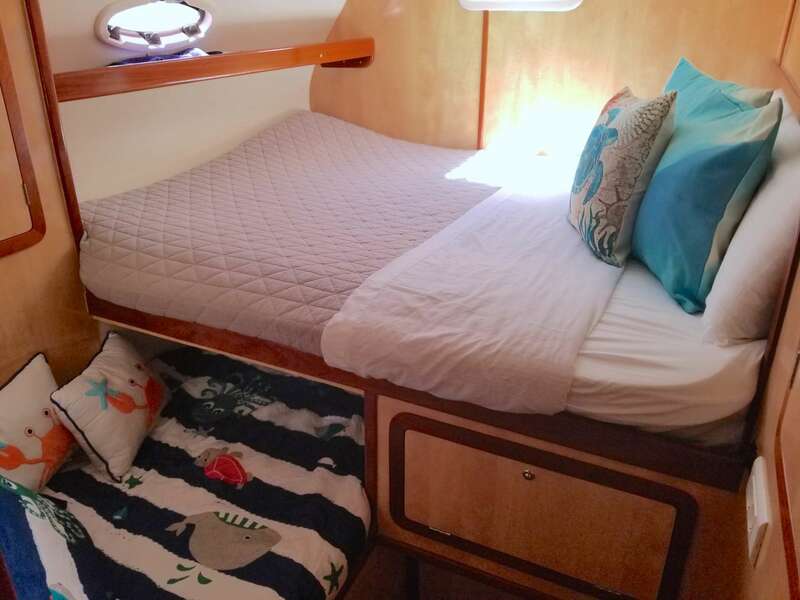 2 additional single berths are located in two of the queen cabins making Karizma the ideal choice for families seeking a safe and comfortable Caribbean sailing vacation for their young children. 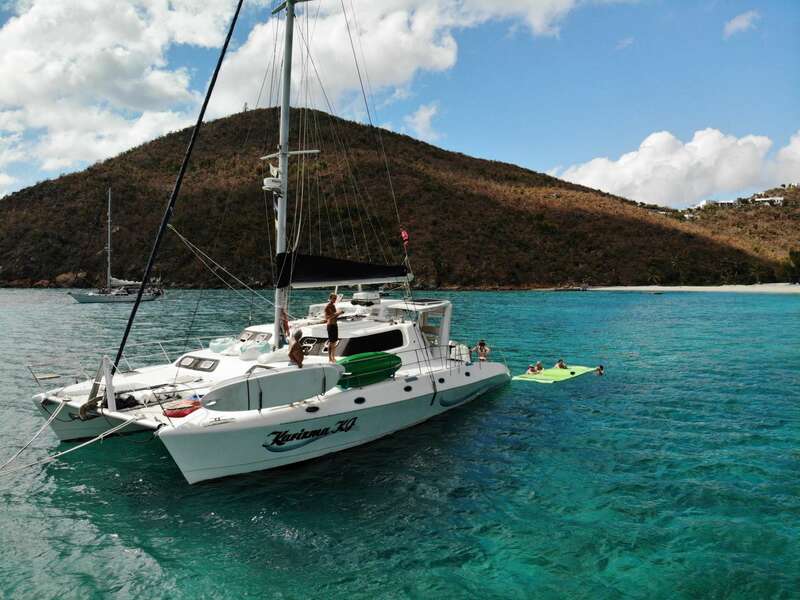 Karizma is stocked with many pull and floating toys for kids and adults with a big dinghy for plenty of family water sports fun. 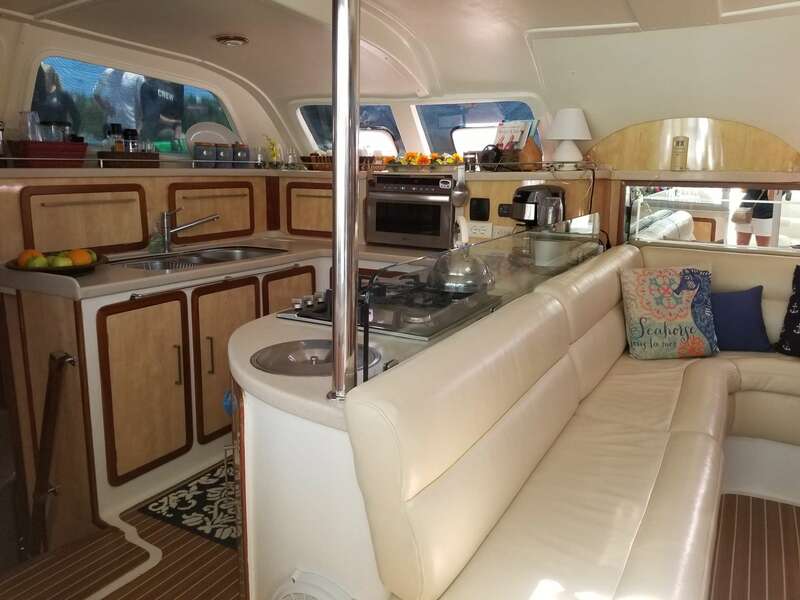 Great flow from outdoor cockpit to salon seating area. Room for everyone around the table. 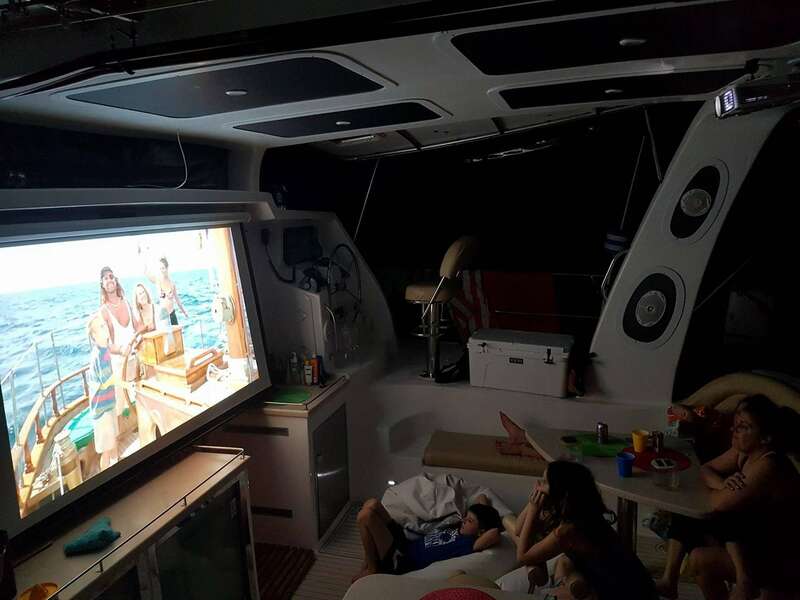 Movie time in the huge cockpit area ! Two tables lets everyone spread out. 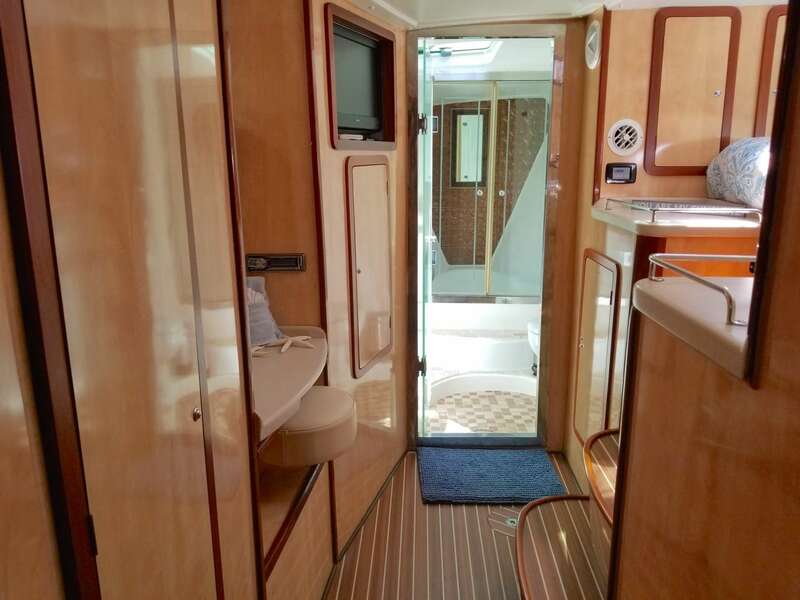 4 guest cabins feature 4 Queen beds - each with private ensuite with electric head and tiled shower.